Hong Kong actor Anthony Wong is perhaps one of the most recognisable faces in the Chinese entertainment industry. And it's not just because of his diverse roles in around 150 films. He's also widely known for his mixed English-Chinese looks. Wong was born in 1961 to a British father and Chinese mother. His father left him when he was four and for decades, the 56-year-old actor has been looking for him. All he had was his father's name, Frederick William Perry, and a handful of old photographs. Early this year, Wong spoke to BBC Chinese about his search. 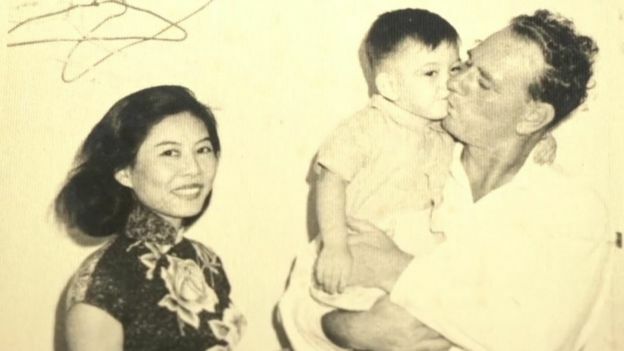 He told BBC that his father's departure had left him struggling with his identity in 1960s Hong Kong, where children of mixed descent were often discriminated against. After the BBC report in February, Wong finally reunited with his half-brothers, who never knew of his existence - not to mention his fame as an actor too. His two twin brothers, who are both 74 years old, travelled to Hong Kong for their reunion after receiving an email from a cousin in England, alerting them that there might a "sensitive matter" they should know about. The search for Wong's father started after BBC published his story. A Facebook thread was set up and three separate women around the world began looking for information. 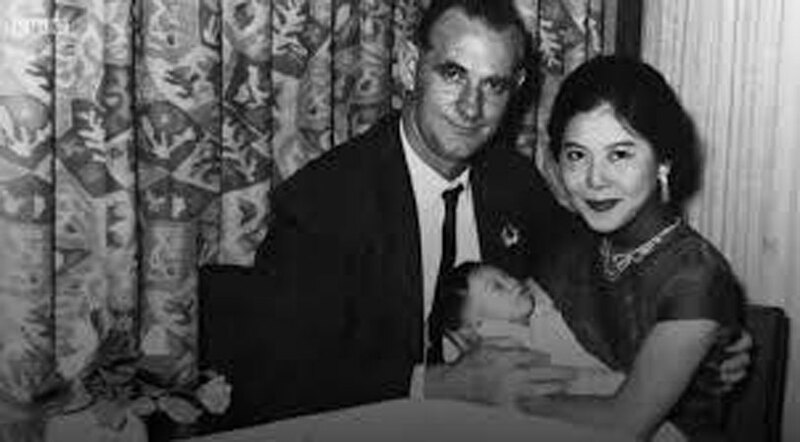 Gradually, the clues started to form a larger picture and finally, someone managed to find biographical information that could belong to Wong's father and his English family. Over in Melbourne, Wong's two half-brothers, David and John Perry, also watched the BBC video and saw the man in the photos. It was, without a doubt, their father. According to a BBC report, they emailed a company, Dionysus Contemporary Theatre, mentioned in the video and managed to get in direct contact with Wong. The three met in Hong Kong on March 20. BBC covered their reunion last week and David said that they "hit it off" straight away. The three brothers told BBC that they bonded quickly and invited Wong over to Australia to visit the Perry family. David told BBC: "We want to have a nice get-together and make Anthony feel part of our family - he is part of our family." The Perry brothers also did not know about Wong's acting career, but have started finding out more information about the veteran actor from the internet. David told BBC that whether Wong was an actor or labourer did not matter, and that they would have still gone to Hong Kong to meet Wong. They also said their father, who had died in 1988, had never mentioned his second family in Hong Kong. Wong managed to learn more details about his father and both his half-brothers said they were not upset at finding out the secret that their father had kept for decades. Wong's mother is still alive but suffering from dementia, reported BBC. Wong also told BBC that this experience is a "life lesson" and that he is finally able to make peace with the past. For more details on the BBC story, click here. Hong Kong actor Anthony Wong's father left him when he was four years old. For decades, the 56-year-old actor has been looking for him. After a BBC story that was published in February and a thread created on Facebook, Wong finally reunites with two half-brothers he never knew about. His two brothers, who are both 74 years old, travelled to Hong Kong for their reunion after receiving an email from a cousin in England, alerting them that there might a "sensitive matter" they should know about. Over in Melbourne, Wong's two half-brothers, David and John Perry, watched the BBC video and saw the man in the photos. It was, without a doubt, their father. They emailed a company, Dionysus Contemporary Theatre, mentioned in the video and managed to get in direct contact with Wong. Wong's father, Frederick William Perry, had a family in Australia. And another one in Hong Kong. The Perry brothers said they did not know about Wong's acting career, but have started finding out more information about the veteran actor from the internet. David and John spent a few days in Hong Kong with Anthony before returning to Melbourne.